The joy of working as a freelancer is the ability to set your own hours and the amount of projects you would like to take on each day, week, and month that aligns with your work-life balance. So what happens when you want to increase cash flow? While it’s easy to enjoy this type of life and career because of the control you feel, that control tends to be lost when it comes to getting paid by some of your clients. Since most of your clients tend to be geographically far away, trying to get paid by them can become an immediate worry. This is because your cash flow depends upon those payments, which will provide you with the money you need to cover your own expenses and even pay yourself. Rather than sending out paper invoices to clients via snail mail, email attachment, or fax — online invoicing speeds payment because it delivers a digital copy of the invoice to your client’s inbox on their computer or smartphone. With one click, the client can open and read the invoice and select a way to also pay online from your online invoice immediately. More clients insist that they prefer this method because it’s convenient and doesn’t involve lost paperwork or a trip to the mailbox to retrieve it or send payment. Many clients note that they typically pay the online invoices they receive right away so they can check it off their list and move on. There are all types of companies that are now offering an online invoicing service with many options like customized invoices, recurring invoices, and built-in payment acceptance systems. In fact, there are more than 101 invoicing companies you can choose from that offer an array of features and the ability to invoice all over the world. With the introduction of Apple Wallet and others, consumers and businesses are starting to get used to the idea that they can digitally store all their payment and contact information to make payments in-person or online. Freelancers can take advantage of this new payment preference, which means no one has to carry a wallet full of debit and credit cards. By offering a digital wallet to their customers, a freelancer can entice more prospects to work with them. It provides the freelancer and you with a way to offer secure transactions and data storage, compliance, and fast payments that typically clear the bank in a day. There are all types of mobile wallets now available to consider many of which also allow you to offer loyalty cards and gift cards for your services. P2P payments is an emerging payment trend that offers a quick and easy way to exchange money for payments via an email or text message rather than relying on a financial institution that can add days to the transaction process. While often more used for payments between friends or family members, it’s still a good option for freelancers to consider if they have minimal payments each month and want to enjoy quick access to the funds. Digital payment processing is changing the state of debit and credit card payments by offering low fees, no contracts, and multiple currencies so that freelancers can work with clients all over the world. Companies provide domestic and international credit card processing as well as compliance, high security, and ease of use for all types of freelancers. Some of your clients may still want to send you a business check. Instead of doing this, you can extend the ability to use eChecks and eCash instead so the money can be digitally transferred through a financial institution and processed accordingly. Money is transferred from one bank account to another, providing a quick and convenient transaction with low fees. Another option is to consider cryptocurrency, also known as digital currency. The biggest name in this alternative payment industry includes Bitcoin. It’s a secure and private way to conduct a transaction with clients which also skips over the need for a currency exchange — especially if both of you are in different countries. Fees are either non-existent or low, plus the cryptocurrency can be transferred into regular currency or used to make purchases at many brands all over the world. 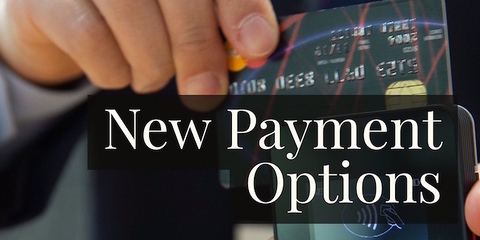 Learn more about each of these payment methods by taking the time to review their features and differentiating qualities. This will help you determine what may work best for your freelancing business, including those that are just domestic, those that work with companies all over the world, or other firms that like the idea of using cybercurrency to remain completely anonymous. From there, you can read reviews about some of the companies that offer those payment methods so you can determine what works best for your business.